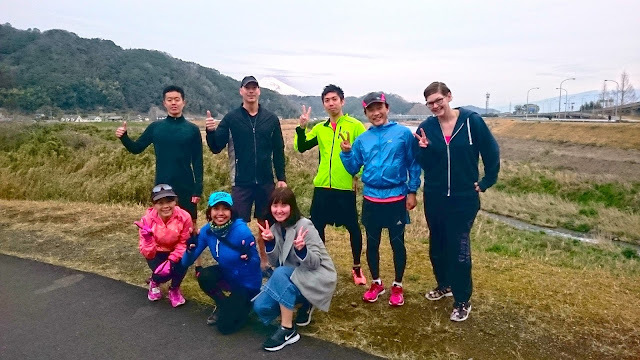 Izu English Running Club: Fiftieth Izu English Running Club! Oh ya! 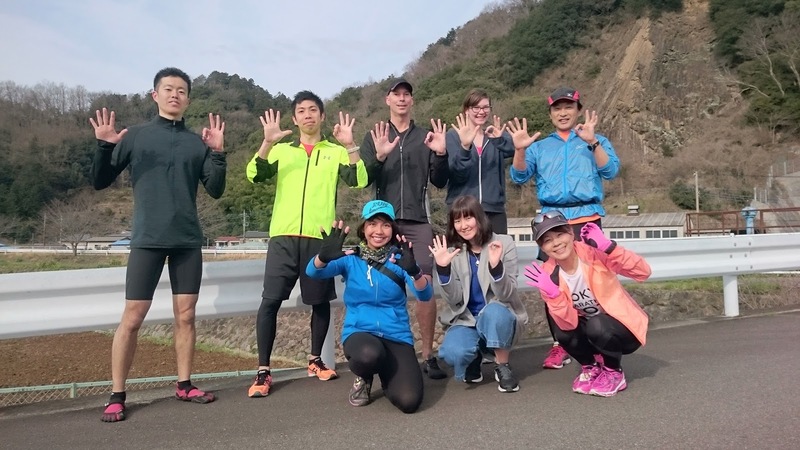 Fiftieth Izu English Running Club! Oh ya! 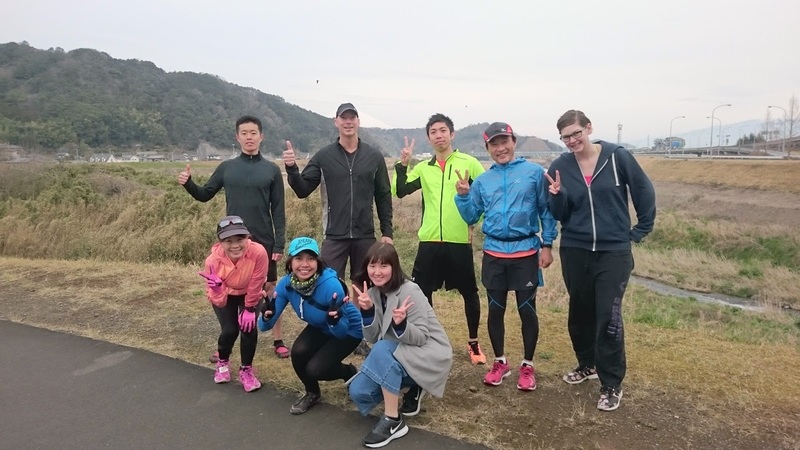 Thanks so much to everyone who came out to today's run. 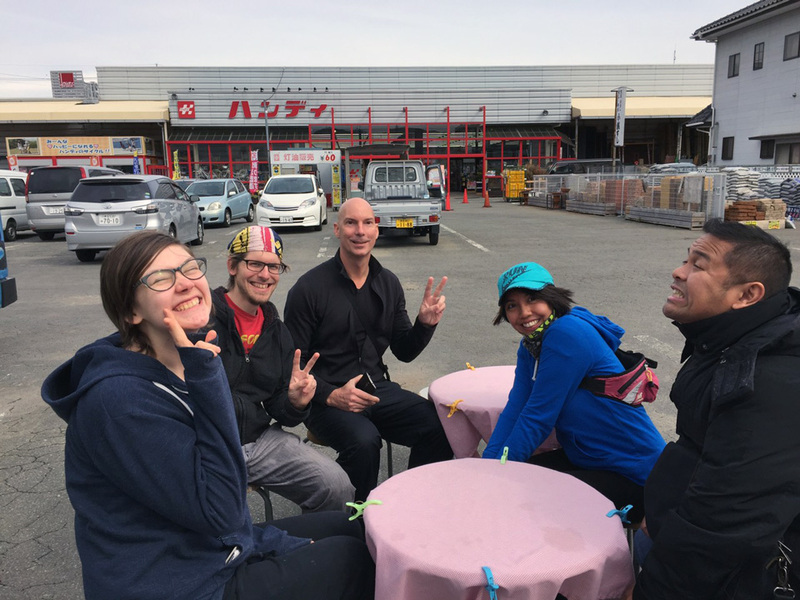 We had some familiar faces, some new faces, and some long-time-no-see faces. And guess what? 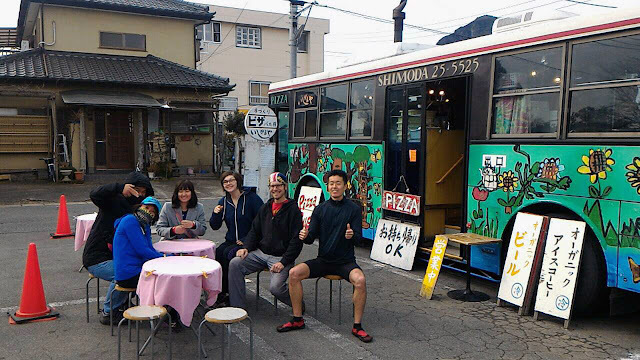 After running and our usual coffee, we had breakfast pizza and beer from the amazing pizza bus! See you on April 10th! 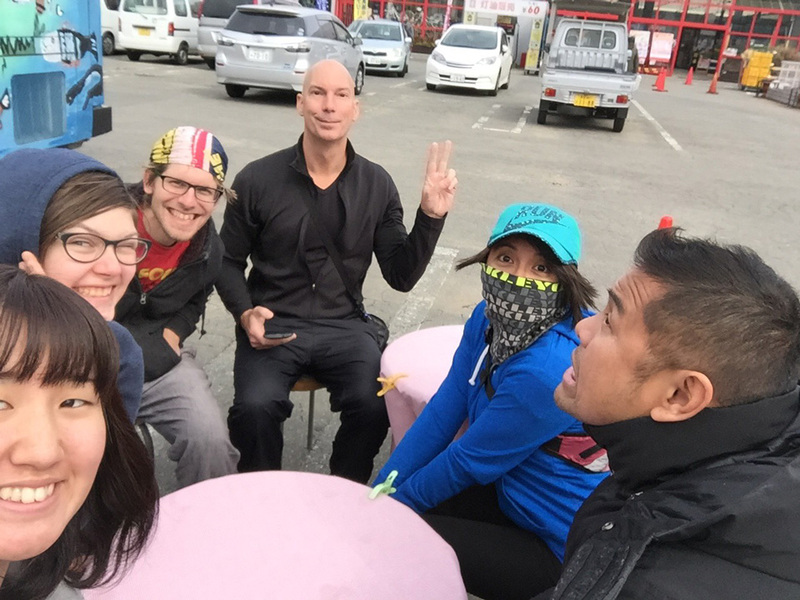 "Waiting for breakfast after running" - A perfect selfie. You gonna be alright Bong? 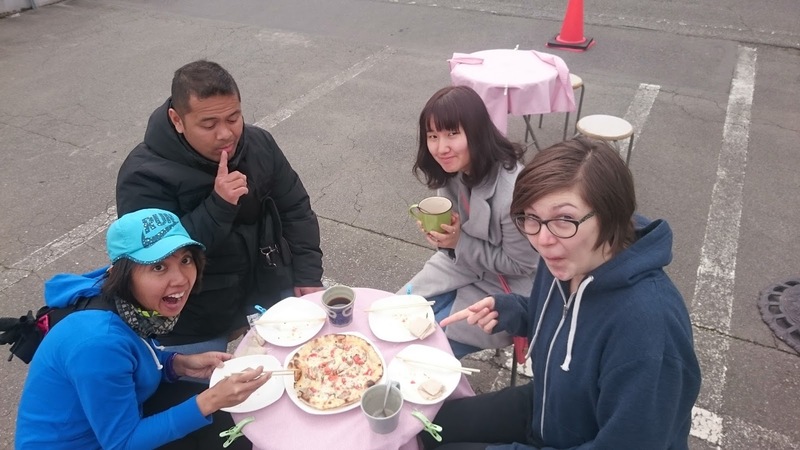 You can hire these guys for a party. The bus, not the smiling people. Yeah, the pictures are out of order. 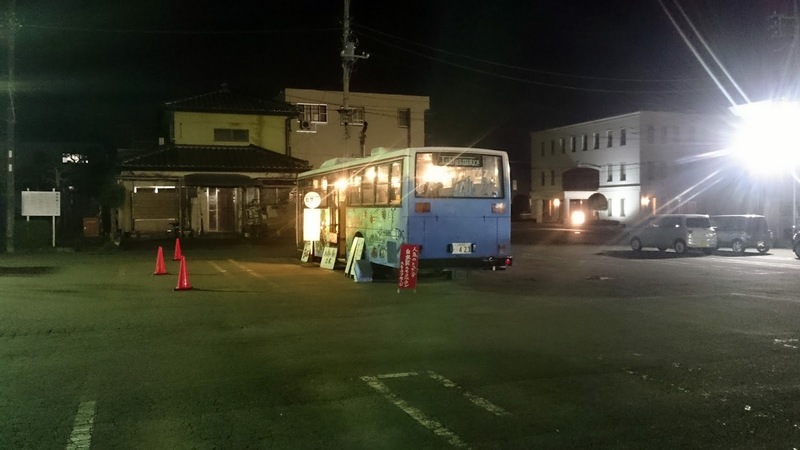 This is the bus at night! Look closely. What's in the background? Everybody is making a secret code. What does it mean? Pizza, pizza, pizza! And hot chocolate and coffee.